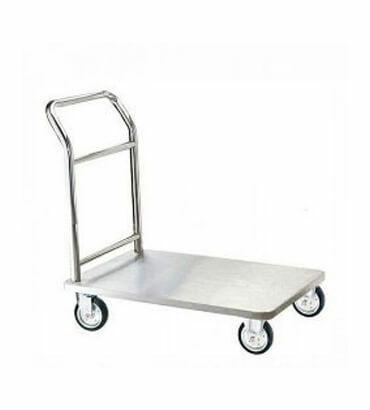 Stainless Steel Platform Trolley Manufacturer/Supplier in India, Stainless Steel Platform Trolley in India. We are a supplier and manufacture a wide range of Plate Form Trolley in India. Our plate form trolleys are manufactured using superior quality stainless steels to ensure its reliability. These trolleys are well-known for being light-weighted and user-friendly to operate in all directions. It has huge appreciation from our clients due to its elegant design pattern and weight withstanding capacity. pattern and weight with standing capacity.